Builderâs own one-of-kind extraordinary lakefront luxury estate. 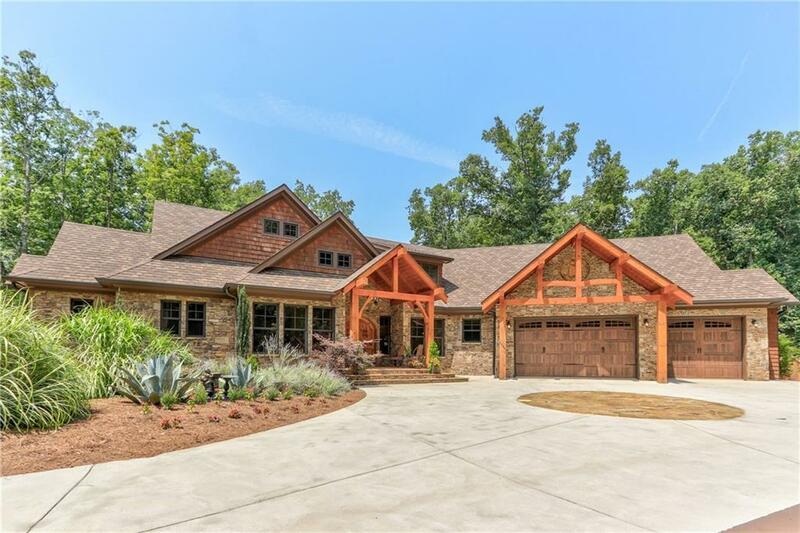 Over 2 park-like private acres on Lake Lanier. Scenic drive lined w/ elegant blooming trees & picket fence. Incl 3BR guest house & horse corral. Creative features like gorgeous wood beams milled fm property's trees, replica of Grove Park Inn's stone fireplace, magazine-quality kitchen, barrel wood ceiling. Unforgettable master w/ spa bath, fabulous theater & kitchenette, 2nd hidden office, gym area & big entertaining decks. Party pavilion o'looks wtr feature flowing to deep wtr dock. Big, bold, beautiful! Directions: Head West Of Hwy 53w. Turn Left Onto Lynncliff Dr. Turn Right Onto Davis Bridge Rd. Turn Left Onto Cook Rd. Turn Right To Stay On Cook Rd. Home Is On Right, Through Black Gate And Down White Fenced Driveway To The Right.